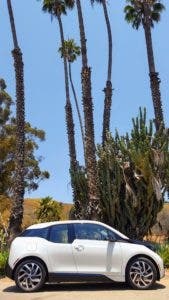 This review summarizes my early learnings in my first day with the new longer range BMW i3. A comprehensive review will follow, but I have found that some of the most important and impactful learnings about a vehicle arise very early on in vehicle use, as that is generally the time in which prospective buyers will make their decisions. 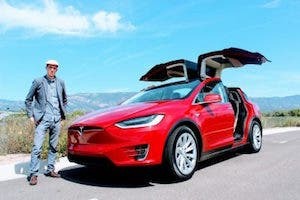 My comments include the background of time I’ve spent with the vast majority of electric and plug-in hybrid electric vehicles available in the United States (including owning at various times the Nissan LEAF, Tesla Model S, and Mercedes B250e). The BMW i3, released in 2014, was one of the first purpose-built production electric vehicles in the current generation of electric vehicles. BMW poured billions of dollars into electric powertrain technology, with the BMW i3 one of its first resulting products. The German company also invested heavily in a complete transformation of the core of its vehicle bodies, funneling factories worth of cash into the development of CFRP (Carbon Fiber Reinforced Plastic). We spent a week with the most recent iteration of the i3, which cranks up the capacity of the battery to an impressive 114 miles of all-electric range. With the i3, BMW masterfully wove its passion for sporty luxury vehicles together with the torquey acceleration of electric vehicles. BMW took a leap into the future with the i3, which maps out the aesthetics of a vehicle that comes from the future, as if it travelled back in time from 2030 to today. The futuristic exterior leaves only the signature kidney grill and bold BMW logos, but upgraded seemingly everything else. The future of BMW shines inside the cabin as well, with the threads of carbon fiber exposed along the frames of its split doors. A gentle tap on the start button brings the vehicle to life — though, you wouldn’t know it, as no engine revs up to shake the driver awake. Easing onto the accelerator reveals a finely tuned electric powertrain that beautifully rounds off the sharp edges of the poor traction control and jerky acceleration that plagues many EVs. Instead, BMW replaces such shortcomings with a dreamlike, silent, yet sporty grace. Following the seamless integration of classic BMW themes and the future of the brand, the interior has been leveled up thanks to the electric drivetrain — as a result, it is quieter than any BMW I have had the pleasure of riding in to date. The combination of the classic build quality of a luxury BMW and the electric powertrain make for an extremely peaceful experience in the cabin. 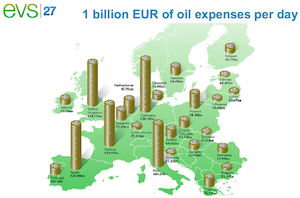 Don’t let all this talk of peace and quiet leave you under the impression that the i3 is a spineless economy box. If anything, it is quite the opposite. The accelerator pedal, while controlled, packs more than enough torque with its 184 ft/lb. The power behind the pedal all but guarantees an exhilarating ride around town when the time comes for a bit of speed. Its 168 bhp is further magnified by the lightweight build of the vehicle, which allows for quick moves that defy more traditional builds. BMW invested heavily into its BMW i program with the design for the i3 similarly starting from a blank sheet of paper. Doing away with legacy combustion engines, transmissions, drive shafts and emission control equipment allowed for new design options like building in a crumple zone in the front of the vehicle and opening up the passenger cabin with the elimination of the transmission and drive shaft. The BMW i team took the design to the next level with the introduction of lightweight carbon fiber reinforced plastic (CFRP). The wonder material is just as strong as steel at half the weight. CFRP can also be crafted into completely new form factors without the need for structurally compromised welds to hold it together. 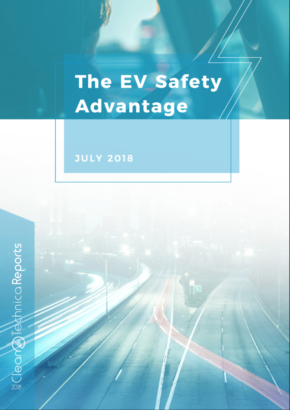 Due to the relatively high price of lithium-ion batteries, electric vehicles have historically commanded premium pricing for relatively spartan offerings. 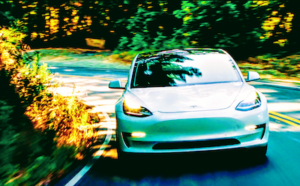 Tesla turned that game on its head with a luxury vehicle that boasted sufficient margins to absorb the incremental cost of the batteries with a ground-up design that reimagined the luxury sedan, and later, the luxury sport utility vehicle. The i3 design similarly started with a blank sheet of paper and resulted in a vehicle that is years ahead of its oil-powered peers. It too relies on pricey lithium-ion batteries and rolls them into a luxury design flush with carbon fiber, sporty handling, and a high-tech driving experience that naturally comes at a cost. It retails for $42,400, with options that take the price all the way up to $52,600 for a fully optioned vehicle with custom paint and an integrated range extender (REx) that brings the total range up to 190 miles. Regional rebates can bring the price back down considerably, resulting in a luxury electric vehicle that costs about the same as a standard luxury internal combustion vehicle. 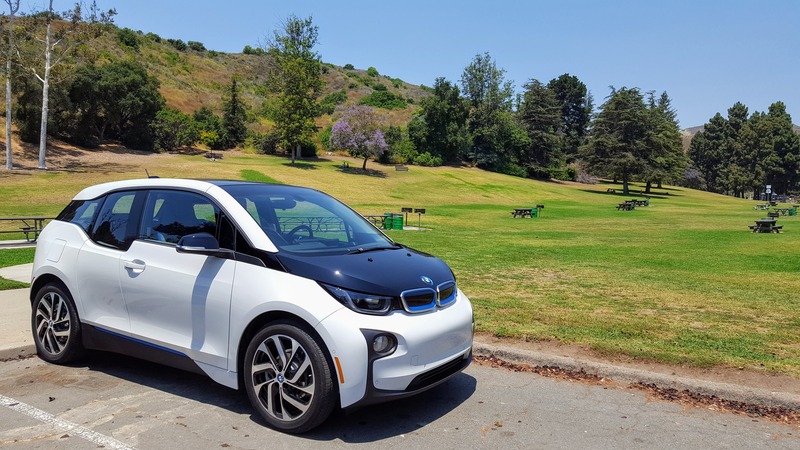 The fully electric BMW i3 is eligible for the full $7,500 federal tax credit as well as the $2,500 California EV rebate, bringing the cost down a full $10,000. 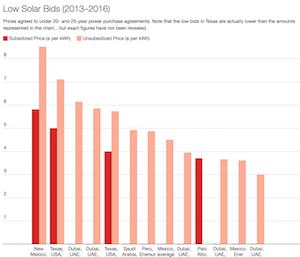 Certain California air districts, counties, and even electric utilities are now offering incremental rebates that stack on top, like the recently launched $450 Southern California Edison (SCE) rebate that brings the cost down even further. At a time when electric vehicles are taking off with longer ranges, faster charging times, and lower MSRP prices, they are now more affordable than ever. For a full list of rebates in your area, head over to the Plug In America incentives page or the EV incentives page at Energy.gov — they have all the juicy details. I also highly encourage you to dig into what may be available in your local region, as these rebates tend to get less publicity and last for shorter periods of time. The bottom-up design of the i3 is evident in just a single glance. The exterior screams loud and proud that it is the teenage rebel of the BMW family, intent charting a new course forward for the BMW family while still undeniably one of the family. It sports the signature kidney-shaped grill, bold BMW logos in all the right places, and the same classic climate control design queues as its ancestors. BMW is not shy about its bold vision for the future of the brand, with dramatic and beautiful carbon fiber left exposed around the interior of each door. The i3 comes standard with DC fast charging (DCFC) capability via its integrated CCS charging port. This allows for charging on the existing network of CCS chargers around the world. While the average driver will primarily charge at home, with fast charging reserved for the rare road trip, there are many drivers around Southern California who put DCFC capability to heavy use, as evidenced by the comments on charging station mapping service PlugShare. I mention this service in nearly every review I write not because we’re paid for it (we’re not) but because I use it so much in my day-to-day life. The DCFC network is currently very minimally deployed as potential investors wait to see how the battle between charging standards plays out. As more and more EVs hit the roads around Southern California, the network will be hit hard — as is already being seen in some areas. Norway should be looked to as an example of what a robust public charging network should look like, as many innovative solutions and business models have already surfaced there that the rest of the world can learn from and reapply. Supercharging speeds are still out of reach for the i3. 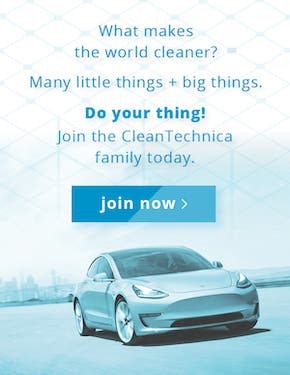 Though, this is true of every other non-Tesla EV out there today. Look for capability to charge at 150 kW and faster as a key indicator for which EV manufacturers truly understand what a fully capable EV looks like. 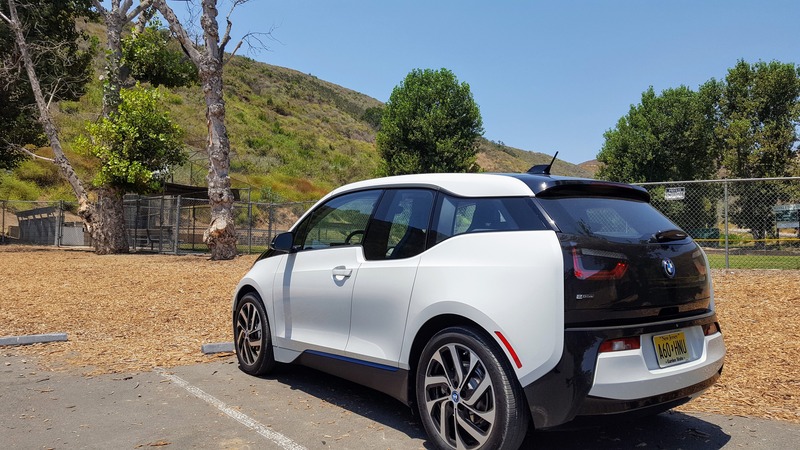 The i3 makes very efficient use of every kWh that comes in, with a rating of 124 MPGe for the 60Ah model, 118 MPGe for the 94Ah model, or 111 MPGe for the 94Ah model with the gasoline range extender. Adding more weight to gain the extra range clearly comes at a penalty for all miles driven. 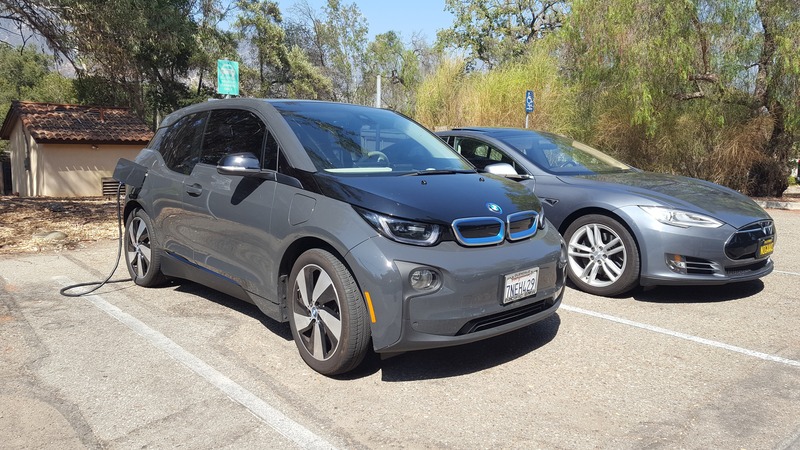 The i3’s high rating is largely attributable to its lightweight design and results in a lower cost to drive than its peers, and more effective mileage per hour charging than less efficient competitors. Charging my wife’s Mercedes B-Class Electric Drive for 3 hours on a Level 2 charger (@6.6kW) with an efficiency of 2.9 miles per kWh, we would be able to drive about 57 miles. At the same charging rate and duration, the i3 would be able to travel an impressive 81 miles. That means less charge time to go the same distance … not to mention a lower cost. The BMW i3 remains an impressive vehicle and the incremental boost in range makes it that much more formidable for commuters and families looking to go electric in stylish luxury. With all its allure, though, the i3 will struggle to remain competitive when pitted up against EVs with double the range and with capability to charge up in half the time (like the Chevy Bolt and the Tesla Model 3). I’ll share further details and commentary in a more in-depth review article (3–4 times as long) in the coming days.